MABELLEarts is driven by their love of people and fascination with neglected and forgotten places. They make art and build environments that foster community, regeneration and invention. 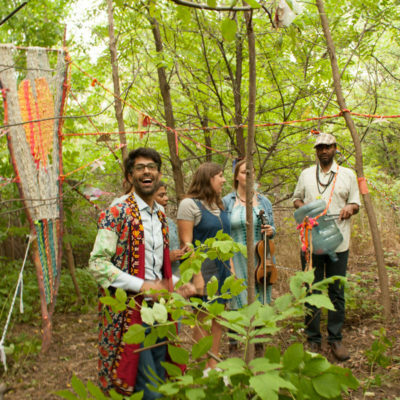 They cultivate long-term relationships that reveal the transformative possibilities within each unique site, neighbourhood and community. MABELLEarts celebrates cultural traditions, differences and points of connection that help spark collaboration as a creative force for change. They reframe existing social and environmental conditions to make space for new ways of being together.